My daughters are in gymnastics. We're not on the fast track to Olympic glory mind you, but they each have fun in their own little classes. I was sitting in the stands with my wife the other day while our girls were out in their groups. I was watching my oldest work on her, um, half-pike saulter with a twist, or a spritz. Yeah that's it, a spritz. But then a little off to the side, in a separate group, I overhear, "Hmm, okay. Not bad. But you're sticking your chest out too far." It's a coach working with three girls. My wife leans over and whispers, "They're on the team." I nod. "Gotcha," I whisper back. The 'team' is for serious, competitive gymnasts. But I didn't need my wife (a competitive gymnast herself growing up) to tell me that. It was pretty obvious. I mean, they were working on double-back Winnebagos and full aerial tuckers for crying out loud. But it wasn't the gymnasts' fancy gymnastics that caught my attention. It was their coach. And for the next few minutes I watched the coach do her coaching thing. It may as well have been a PD session for teachers. Nuggets of teaching gold abounded, and I've pulled a few out here that center around feedback. 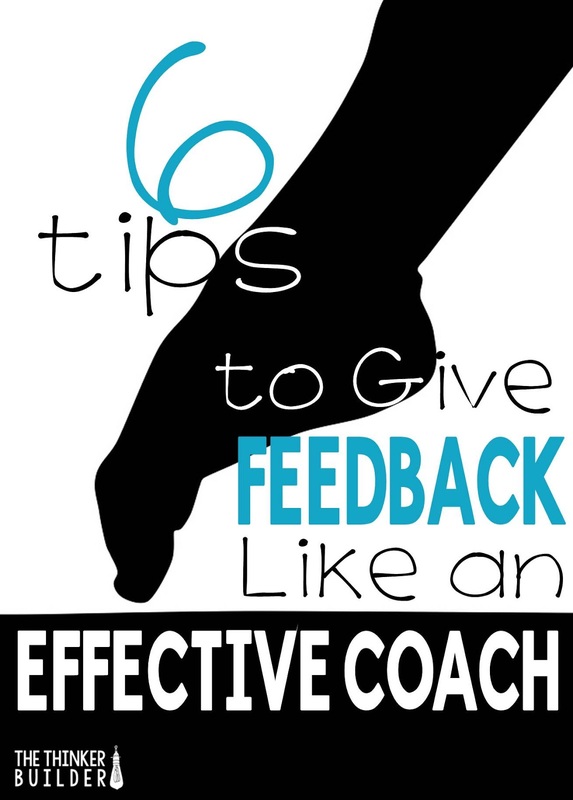 So here are six tips on giving effective feedback to students, all stemming from my observations of the gymnastics coach working with her gymnasts. The coach was right there on the mat with the girls, and as soon as a girl did a tumbling pass, the coach immediately gave feedback to her. The girls expected it. For some attempts the feedback took the form of a short phrase or tip, often relating back to something that particular girl has heard before. Sometimes the feedback was a hand or arm motion, and sometimes it was more interactive, but whatever the feedback was, it happened right after an attempt occurred. Sometimes it's hard to give immediate feedback to students, especially if we're talking about feedback on written work that you are grading. But when possible, give feedback to a student as soon as possible, while the attempt is fresh. "Live," in-person feedback is even better because you can really get a sense of what the student was trying to do and carry the conversation to the next step. This can be done during one-to-one conferences and small group sessions especially, but also when your large group is working on a task, and you check in with a student or group here and there. These gymnasts were on the team, so they already had some serious skill. Everything they did looked great to me, but not everything satisfied the coach's expectations. One girl in particular, the one for which the coach's comments drew my attention in the first place, was working on the same skill several turns in a row. And it would have been so easy for the coach to eventually just say, "Good job," or move her on to a different skill, but she didn't. It was clear that the coach knew what the skill should look like and that the gymnast was ready for it. But the coach was not going to lower the standard, even if that meant changing how she instructed the gymnast several different times. As a teacher, we also need to have high expectations, keeping in mind what's appropriate for our students. Setting the bar high can sometimes insinuate a fold-your-arms-and-stick-your-nose-up attitude, but just like the gymnastics coach did, you can set the bar high and then scaffold instruction to help reach that bar. The first piece of feedback I heard the coach give--"Hmm, okay. Not bad. But you're sticking your chest out too far." --is a great example of giving honest, constructive feedback. It was given in a conversational tone, but in a straightforward, clear manner. It was short and to the point: no beating around the bush. Be real with students. They will appreciate your honesty about what they are trying to get better at, because they also know you will help them do it better. Being direct and honest with your feedback also will save you time! I know it can be more difficult with a student who is really struggling with something, but as long as your response includes something constructive, something that helps him/her move forward on the next attempt, then your directness will pay off. After two attempts at the particular tumbling pass, the coach changed her feedback strategy. She got in there with the gymnast, taking her arms into the correct position, placing a hand on her tummy, and even boosting the gymnast into the air midway through the next attempt so she could feel what it was supposed to feel like. In the classroom, we often will follow up a feedback statement with modeling, like: "You didn't read it with expression. Here, listen to me read it... Did you hear the difference?" Sounds pretty effective, right? But I encourage you to go further than just modeling. What if the coach would have only done the tumbling pass herself as feedback, like: "There. See the difference, young gymnast?" The gymnast might have seen the difference, but that doesn't mean she could do it. By moving the gymnast's body differently, the coach helped her feel the difference. So try to connect your feedback and your modeling with getting the student to feel it. Not in the same way as a gymnast, of course. Guide the student through another attempt, maybe like: "You didn't read with expression. Here, listen to me read it. Now read it with me. Match my voice... wait, did you hear that? My voice rose; your voice needs to rise too. Let's do that part again." This type of feedback and subsequent guidance is really the essence of good coaching, isn't it? Something I did not hear much from the gymnastics coach was praise. Not a lot of "good job" or "that was awesome." Instead, she encouraged. The difference? 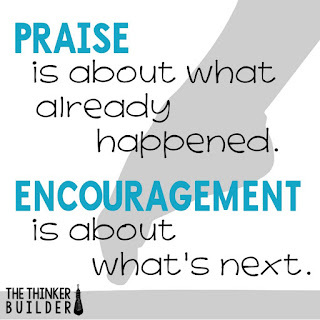 Praise is about what already happened. Encouragement is about what's next. Instead of praising a gymnast on what she just did, the coach pointed out what was correct or incorrect, in an honest, constructive manner (like we talked about in tip 3). She followed this up with a bit of encouragement for what the gymnast was to do next. "On the next one, really reach straight up. You can do it." Giving too much praise can change students' mindset to one that simply tries to please you, instead of one that tries to grow and get better. 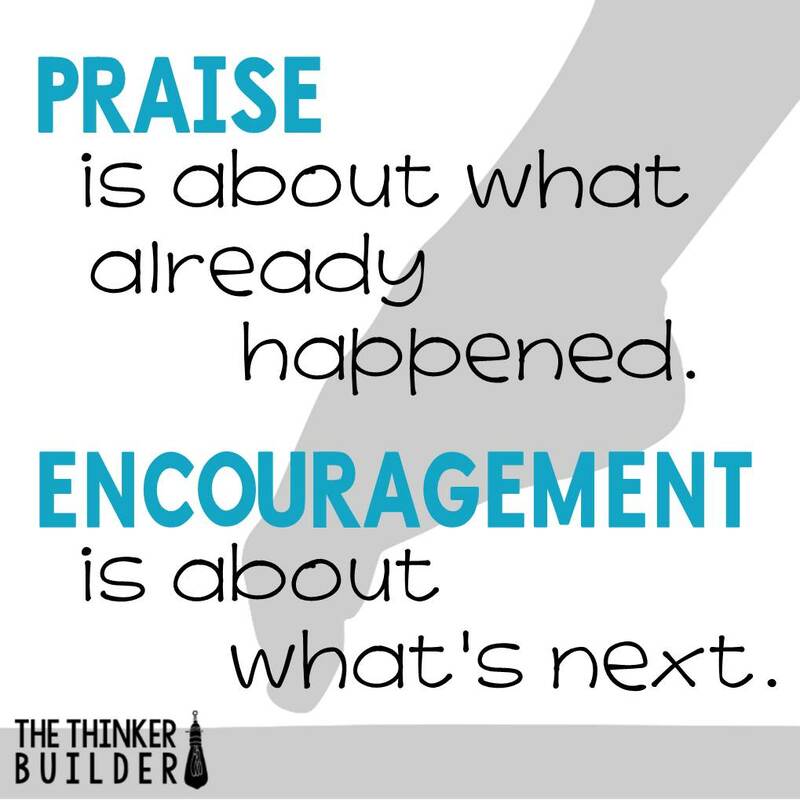 But you can still be positive by encouraging students. An encouraging comment keeps you and the student moving forward, looking ahead with a positive attitude. Giving praise might feel very positive, but it can also form an underlying current of judgment. And we want to be more of a coach than a judge. For the entire time I watched, the gymnasts were working on only one skill. It clearly fit into a fuller, more complicated tumbling pass, which I assume fit into a complete routine. Though the coach was isolating a certain piece to improve upon, even I could tell there was a "bigger picture" involved by the way the girls entered and exited the tumbling pass. And it's this big picture that helped guide the coach's feedback. When giving feedback as a teacher, keep the bigger picture in mind. It can help guide how you respond to a student's attempt. You know the stages of developing the skill, and where the skill fits into the scope of other connected skills. Students need feedback. And trust me, I know it's hard to feel like you're giving enough of it. But maybe instead of worrying about giving more, first try to make the feedback you do give more effective, maybe by taking a page from the gymnastics coach that I watched for a few minutes the other day.